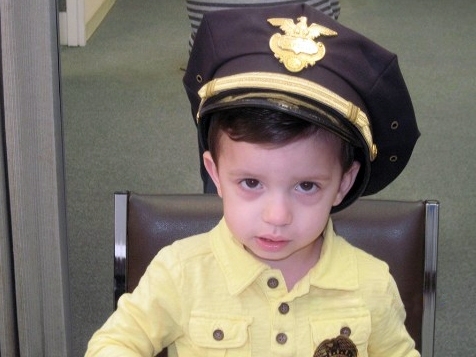 On October 16, 2015, Cops For Kids With Cancer, went to the New Bedford Police Department and made a $5,000 donation to the family of Athyn Sousa, a 3 year old boy from New Bedford, who has Neuroblastoma. In picute left to right, Officer Allann Fonseca, Athyn’s grandfather, mother Susan, Athyn, Bob Faherty, Captain Joseph Codeiro, Lieut. Scott Carola, and officer Bryan King of Norton PD & Lea Fernandes Fund.